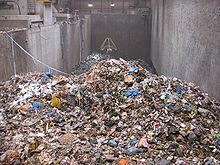 (uncountable) Rubbish is unwanted things such as plastic bags, half-eaten food, and broken toys. She's always throwing her left-over food on the ground, and not in the rubbish bin. People drive by and dump all manner of rubbish. (uncountable), (slang) Rubbish is a stupid or wrong idea. You're going to sing? Rubbish! Total rubbish! You can't sing. Oh, I don't watch TV. It's a load of rubbish. He was tired and angry and didn't want to listen to his friend talking rubbish. (transitive) If you rubbish something, you say it's bad or stupid. It's not very good, but I didn't want to completely rubbish it.